More than 47 million Americans live in dental underserved areas. Within these areas, the amount of dental needs that are actually met hovers right around 40 percent, according to a Health Resources and Services Administration report. Based on this same report, more than 7,300 more dentists would be needed to fill all the dental needs in the United States. In a recent article published in the Journal of Public Health Dentistry, Texas A&M College of Dentistry researchers dive deep into several national databases to shed more light on what is actually occurring in these dental shortage areas. How do income and education levels, population density, and location fit into this picture? And most importantly, what can be done to fix the problem when current public programs and market forces have failed to do so? The research represents collaboration between Andreea Voinea-Griffin, a research assistant professor, and Eric Solomon, a research professor and executive director of institutional research. Solomon analyzed data from dental-underserved areas, comparing their populations to those in areas not designated as underserved, and pored over the characteristics of dental practices located in each of these areas. He looked at details such as sales volume, number of employees and practice square footage. This served to pinpoint the relationship between distribution of dental practices, characteristics of those practices and the populations most likely to experience shortages. Voinea-Griffin, research assistant professor, studied the impact of public health policy on these particular areas. Residents with lower income and education levels. Higher levels of underrepresented populations. Geographic, financial and educational barriers to care. Two such areas are in the college’s backyard, to the east and west. Because the government divides populous, urban areas by census tracts, instead of zip code, the characteristics of these areas accounts for the underserved status. 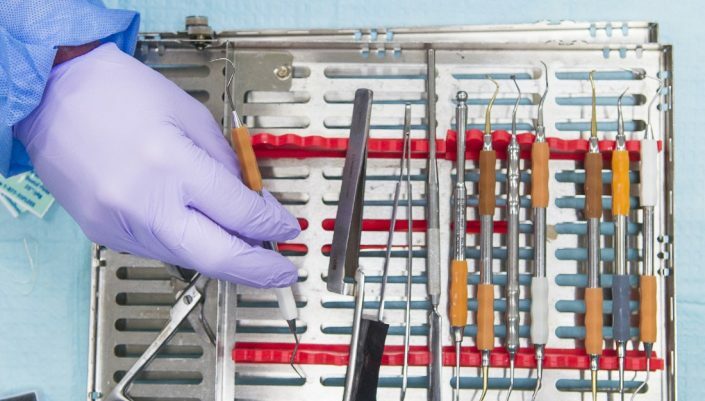 The study explored the underlying concern that simply increasing the number of dental school graduates nationwide may not address existing dental shortages. If new dentists choose to practice in other locales, needs in underserved areas will remain unmet. Accordingly, one solution could involve incentivizing graduates to underserved areas through student loan repayment programs. Such a solution would require the addition of public health clinics to these areas. Other possibilities, says Voinea-Griffin, could involve regularly scheduled mobile dental units that bring care to patients, helping mitigate geographic barriers. As Medicaid expands in several states to include increased adult dental coverage, financial concerns may also be addressed.